It’s been nearly a month since I got my grubby paws on the Nintendo Switch and Breath of the Wild. Nearly a month to savour the experience that I had anticipated almost breathlessly since the first trailer for the game dropped last year. 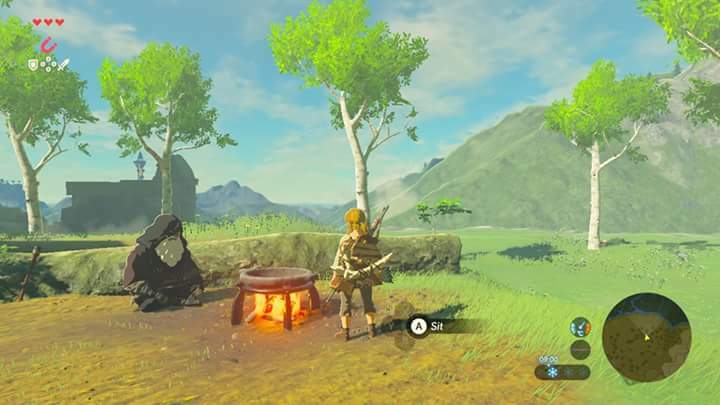 Breath of the Wild was a game that I was prepared to get a Wii U for, but thanks to my amazing Mum, I was able to get it on the Switch instead. As such, any thoughts and observations are based on the Switch version, which has slightly different controls to the Wii U version, so if you’re reading this, please bear that in mind. So, where do I start? 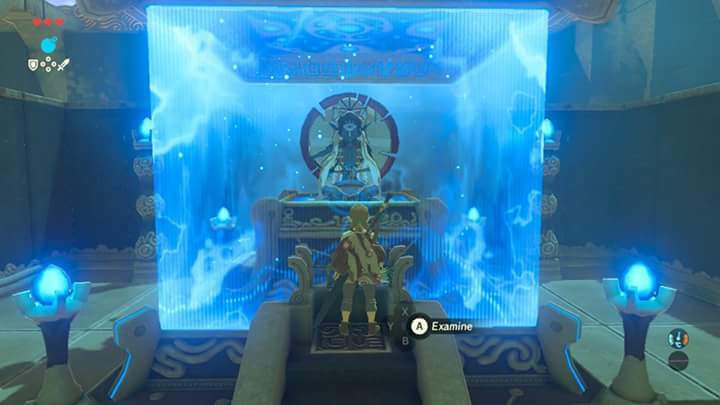 I’ve defeated Calamity Ganon twice, but doing so doesn’t mark the end of this particular adventure, thanks to being able to reload the game from an earlier point and carrying on. There’s still so much to do that I don’t know if I will ever be done. Breath of the Wild is the Zelda game that redefines the genre, and gives future developers of open-world games a lot to think about. Let’s start with that particular point. The very first Zelda game, all the way back in 1986, offered players a freedom to go more or less anywhere, right from the start. This wasn’t necessarily a good idea, given the challenges that awaited the player, but the option to go anywhere and do anything was a liberating one. Since then, Zelda games have become increasingly formulaic, with The Ocarina of Time in particular accelerating this trend, pushing the franchise into a linear path. There’s no denying that The Ocarina of Time was a ground-breaking, brilliant game, but Nintendo became single-minded in their efforts to repeat that success, and whilst a number of the entries after that were good, they became stuck in a safe rut, which culminated in Skyward Sword. With Breath of the WIld, Nintendo have broken the formula. After years of hand-holding in the form of various ‘assistants’ for Link (such as Navi, Midna and Fi), Breath of the Wild chucks players in and says ‘figure it out’. 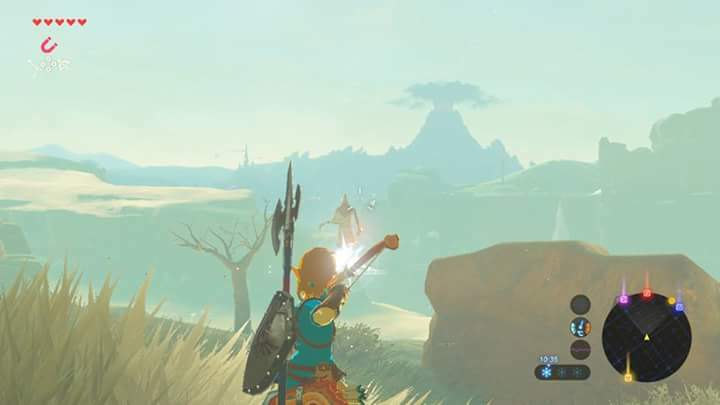 Whilst still in the Great Plateau I had a little assistance from the old man you meet, but after asking him the same question for a second time he firmly rebuked me – the message was clear – this game is going to be different. Those differences are profound. Gone are hearts and rupees in the traditional sense. Killing enemies yields things that can be used in elixirs, and hunting animals and foraging for things to eat is a big part of the game. Experimenting with different ingredients is key to restoring more health or staving off extremes of temperature. Some foodstuffs can enhance Link’s stamina – others grand defensive or offensive boosts, among other things. Discovering these things for yourself is a lot of fun and feels very rewarding. 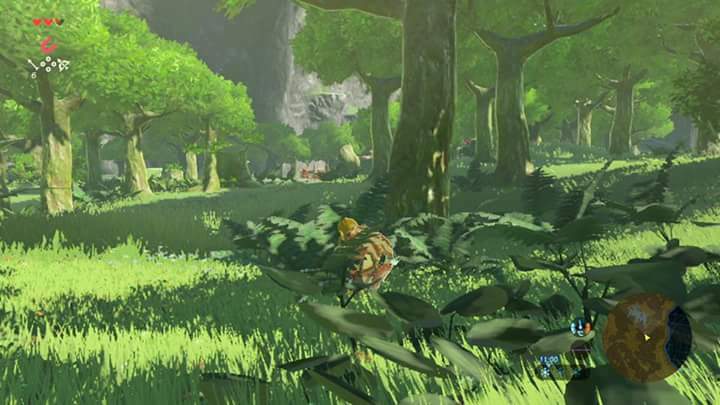 Another big change is the nature of the open world – you can go virtually anywhere that you can see, though some areas will be tough to get to without having first visited a few Shrines – Shrines are the means to expanding your hearts and stamina, so unless you’re a sadist (you can go from the Plateau to the final boss straight away if you want) it’s worth seeking these out. Related to the Shrines are the Towers – activating these reveals more of the game map, which in turn helps you to find points of interest. The Shrines are quite varied, with numerous challenges that require a bit of thought to figure out, but with all of them, the answer is usually hidden in plain sight. Any problem can be solved with a bit of patience – part from the combat challenges – these, naturally, require a bit of brute strength. Some Shrines are easy to find, whilst others require you to solve a puzzle just to find them – a great challenge involved giant statues of knights in the desert – I found this purely by looking at the map as I sought points of interest – as was the case with a few Shrines. With tremendous freedom to go anywhere and do anything, came the challenge of how best to tell the story of this game. To that end, Nintendo have injected a few ideas and pointers that the player can choose to seek out, if you’re willing to put in the time to find out all the details. Some characters will tell you more of the history behind how Link ends up sleeping for 100 years – whilst you can also unlock forgotten memories by finding certain locations. The end result of this is quite revealing but I won’t say too much here. Controlling Link and his various new abilities (like being able to climb and jump) takes a little getting used to – but given that you’re relearning pretty much everything else about the Zelda franchise, this is not necessarily a bad thing. You can still target enemies, but the manner in which you can control the camera and your weapons is a little different, especially if you’ve gotten used to the Wii’s motion controls. Once mastered, the game feels smooth, and handles quite well. There’s not a great many different types of enemy in Breath of the Wild. Instead, there are variations on themes. The Bokoblin is the most common form of bad guy you’ll find, and they vary in strength, but the key factor is the weapon they use. They can pick up just about any weapon, and even throw rocks at you, plus they can carry shields, so be prepared for a variety of attacks. Plus, they will attack in groups as well. Often I would choose to avoid battle completely, given the odds, but you can exploit various things (from the landscape to the abilities of your Sheikah Slate) to deal with baddies. Other enemies include the Wizzrobes (which date back to the very first Zelda title), Moblins (bigger Bokoblins) and Lizalfos, to name a few. Wizzrobes have different attacks depending on their type (electric, fire and ice), as do the Lizalfos. There are also ‘boss level’ enemies that you can stumble upon quite easily – which makes the game all the more entertaining – you have no idea what might be waiting for you at any given point. 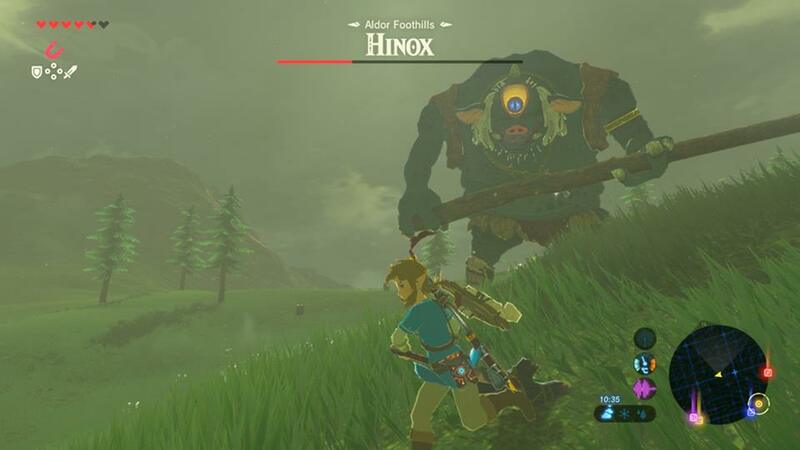 The gigantic Hinox is a sight to behold, and how about the Stone Talus? Those things do not go down easy. Because the AI behind the enemies is smarter, you have to be too – as mentioned, sometimes it’s better to avoid battle completely, and I did this quite often. Of course, sometimes it’s fun to fight – and I did this too. The great thing is, you have the freedom to do either – the game doesn’t funnel you down a specific path. There aren’t many dungeons in this game – depending on how you define dungeon. I would say six, but given the relatively small scale of them, I’m tempted to say there are no true dungeons in the game (if we go by typical expectations of dungeons). In one sense this is refreshing – and you don’t have to do any of them (save one) to complete the main quest. However, having something meaty to sink one’s teeth into might have been nice. This is a minor nit-pick – the nature of the dungeons themselves is quite unique, involving manipulating the layout of them, and you can tackle them in more or less any fashion you wish. Each one has a boss fight at the end, but none of these were especially challenging once you figured them out. Since Breath of the Wild dispenses with the classic dungeon/item/boss relationship (you know the key item from any given dungeon is the means to fight the final boss in most cases), you have to think your way around the boss instead. Can I take a moment to describe how beautiful this game is? Bearing in mind the Switch is not remotely as powerful as a PS4 or Xbox One, Nintendo have done a remarkable job in crafting a huge world, that is filled with various landscapes that feel alive. There is wildlife everywhere. Trees and bushes and grass that flows in the wind. Snow-capped mountains and scorching desert. Incredible landscapes marked with lakes and waterfalls and beaches and villages and monsters. Considering this game looks almost as good on the Wii U as it does on the Switch, Nintendo have shown developers of future adventure games like this what you can do if you push yourself. The graphics are married to atmospheric sound – creeping through The Lost Woods was a nervy moment, that looked and sounded every bit what you might expect someplace like that to be. There’s so much more I could say. I could wax lyrical about this incredible adventure until I was hoarse. I still have a long way to go before I can say I’ve 100% completed this game. If you get the chance, play it, and do me a favour – make your adventure unique to you. That’s something that’s a possibility on Breath of the Wild – every choice you make, every direction you turn, is up to you. You won’t be steered into a particular path. Instead, take control and go wherever you want, when you want. 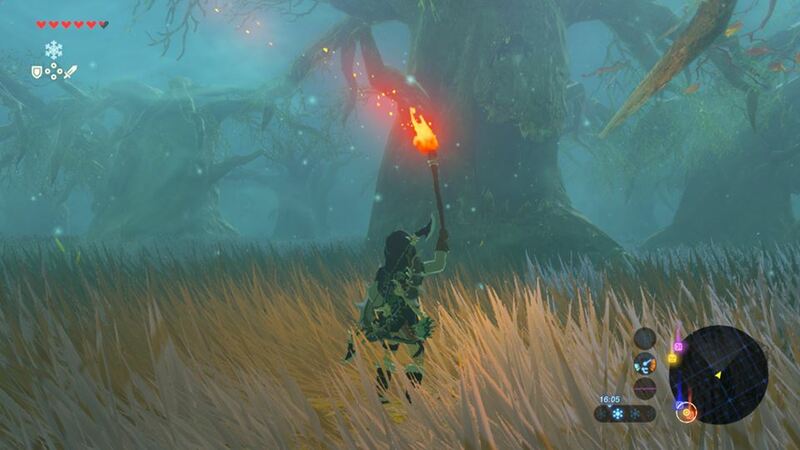 In giving players that freedom, Nintendo have made a Zelda game that finally knocks A Link to the Past off its perch – which given how much I love that game, is no mean feat. If this is the future of Zelda, it’s a bright future.